You love to hate them, hate to love them! These are a great addition to your swag items. 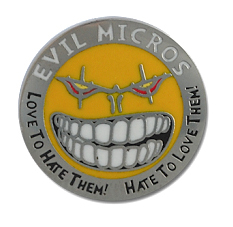 The 2015 Evil Pin. For thoase that love to hate Micros. Note: These are not trackable.